The World War One front line in the Dolomites was began on the Pasubio mountains, the group of the Dolomites in the southwest area. For strategic reasons and for a particular geografical conformation, the Pasubio mountains (three separate groups of mountains) was the theatre of the most cruent combat field of the First World War. The medium elevation of these mountains is between 1800 and 2000 meters. For this reason we can walk and climb until october/november with dry weather and a fantastical view at the veneto region, sometime until Venice. The period of activity in these mountains go from may to the begin of november, sometime more. You can explore this extended area of the mountain first line of the front with a modular via ferrata program where you can decide the number of days… from 2 to 6…. how you prefer. 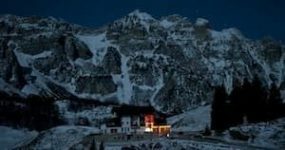 We will have our “base camp” at the Rifugio Campogrosso (a gourmet refugio with double rooms with bath). 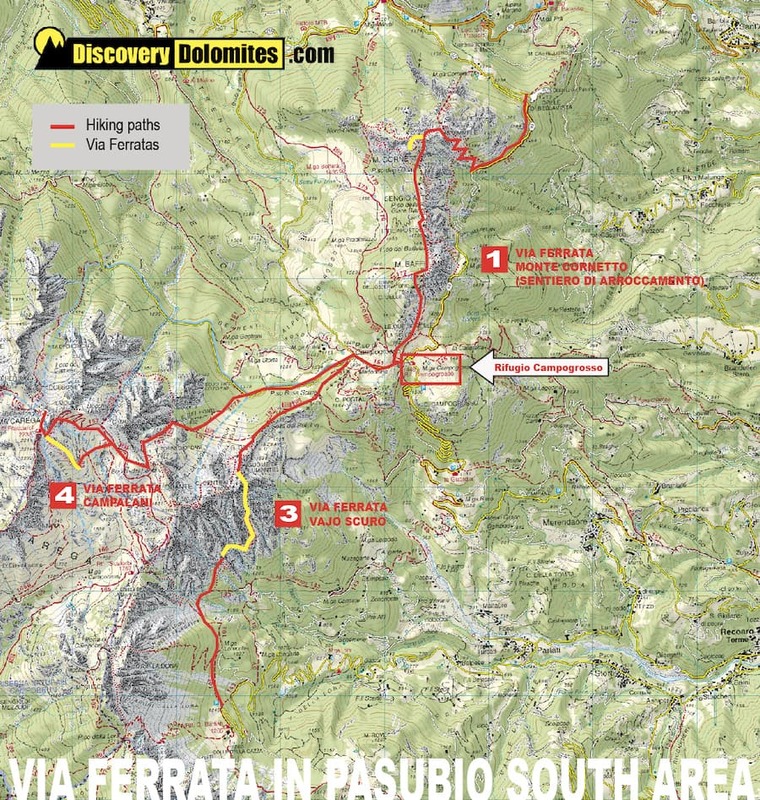 Total time of this day: 4.30 hrs – Total vertical gain (up): 750 m.
In this day we traverse the long and exposed military path of the Sengio Alto “Sentiero di Arroccamento” and climb the short via ferrata of the main elevated peak: “The via Ferrata del Monte Cornetto”. This is a propaedeutic day to learn the via ferrata climbing technique and familiarize with the exposure on the walls. Total time of this day: 8.00 hrs – Total vertical gain (up): 900 m.
We climb the long Via Ferrata Falcipieri at the “5 Cime of the Monte Pasubio” arrive at the Refugio Papa and walk back along the “Strada delle 52 Gallerie” a incredible military road builded under the vertical southern border of the Pasubio plateau, to protected the supplies transport from the austrian artillery shot. Today this road is a Italian National Monument of WW1. Total time of this day: 5.00 hrs – Total vertical gain (up): 700 m.
The Via ferrata Vajo Scuro (the exact traslation is: Vajo = rock gully, Scuro = dark) is the most interesting and difficult via ferrata of the Pasubio mountains. With this via ferrata we arrive directly at the second line of the front of the Carega peak in a great panoramic position and climb back along the trenches. Total time of this day: 7.30 hrs – Total vertical gain (up): 811 m.
The combination of the climbing gully of the “Vajo dei Colori” + the Via Ferrata Campalani at the Carega Peak is one other great target of these mountains. A complex climb into a very wild area. With the clear days of autumn is possible see Venice from the peak of the Carega where in a confortable refugio only 100 meters under the peak we can drink a tee. A memorable day! 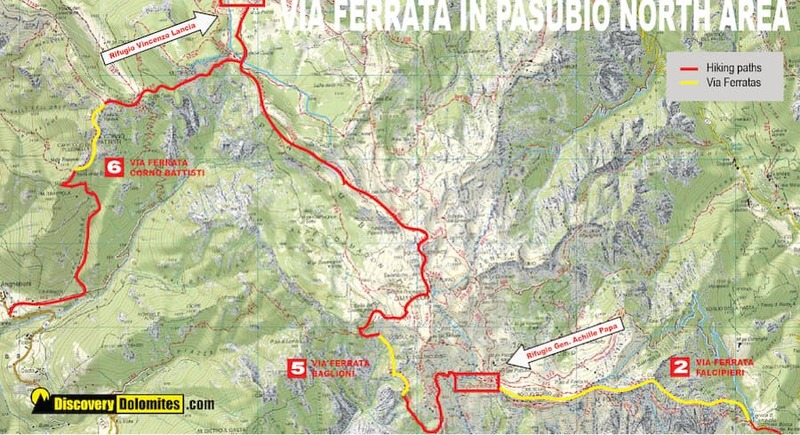 Total time of this day: 6.00 hrs – Total vertical gain (up): 788 m.
The Via Ferrata “Sentiero attrezzato Pasquale Baglioni” is the new entry of the via ferratas of the Pasubio. 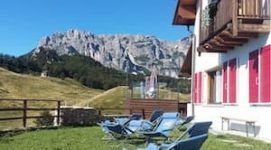 It was completely restaured the old military path to the Cosmagnon Pass, access at the most hot first line section of the Pasubio plateau, with a adjunct in via ferrata. A amazing experience in a wild and impressive area. 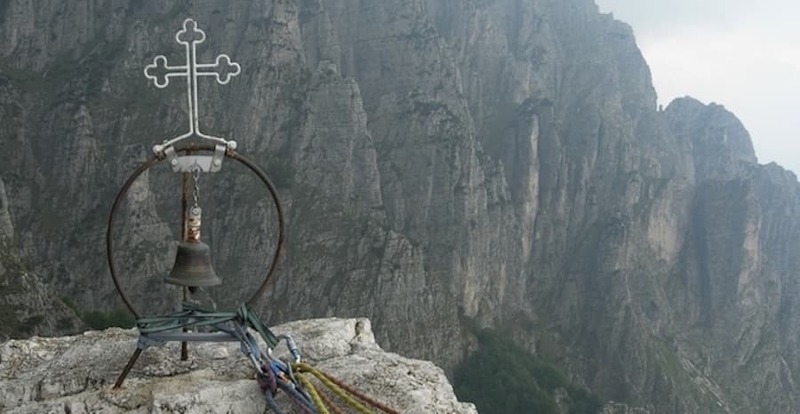 Total time of this day: 8.00 hrs – Total vertical gain (up): 1112 m.
The Via Ferrata “Sentiero attrezzato Corno Battisti” is in a forgotten and wild area of the Pasubio. Until some years ago, was completely abandoned. The recent restaurations work permit us to visit now this impressive section of the front along exposed positions and along a tunnel escaved into the “Corno Battisti” mountain”. A really impressive combination! This proposal is available for every person. Aged people or families with kid can participate without problem. Every day we walk and climb easy via ferrata in differents areas of the Dolomites and visit the front line with short hiking tours. The combination of the via ferrata of the west crest in Marmolada and the Mount Padon is the hardest World War One of the Dolomites. Both via ferratas are originally of the First World War and was part of the first line of the front. If you have a short time (one day) and your period is not in summer this proposal is for you! The via Ferrata Susatti at the mount Cima Capi is amazing and easy via ferrata directly at the Garda Lake. 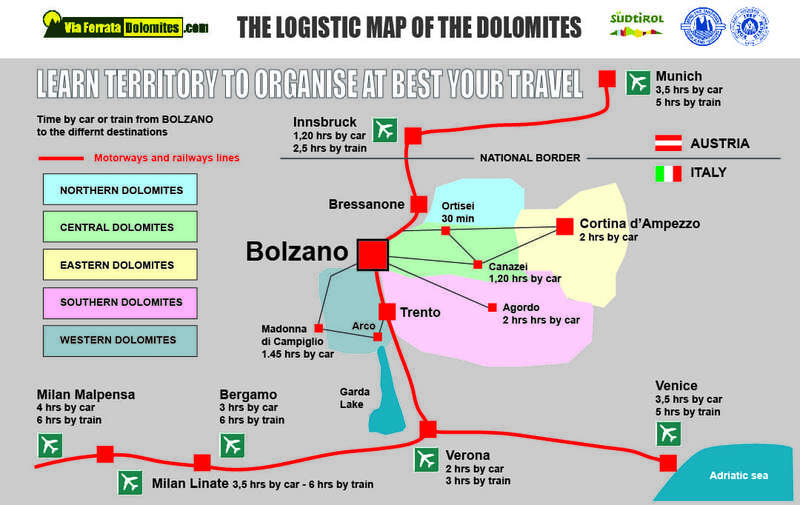 The Lagorai mountains is a chain of great peaks of Porphir stone (vulcanic stone) into the Dolomites territory. the first world war was a natural line of the front from peak to peak in a medium hight of 2500-2700 m.